A true waterfront home. Unlike homes where it's a trek of endless stairs to the lake, this is just a few steps to your own dock and the water's edge. 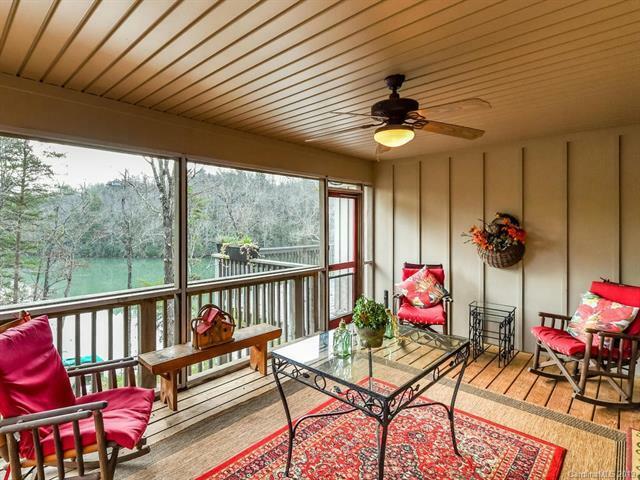 Magnificent water views from nearly every room! Plus a screen porch and expansive deck. This is a move in ready home that has been tastefully designed and meticulously maintained. Charming yet spacious with plenty of room for guests and entertaining. 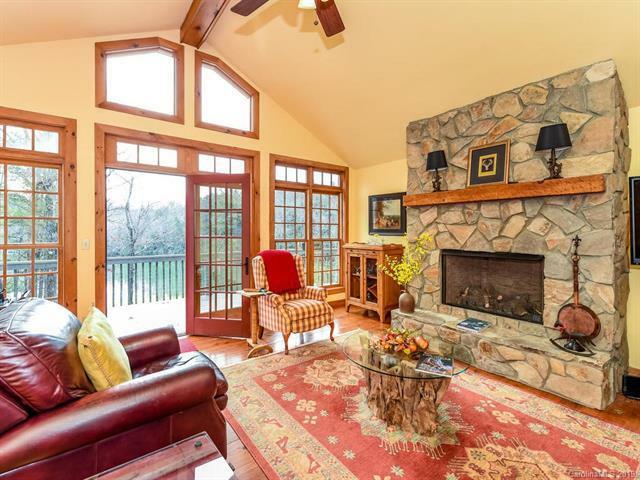 Gorgeous wide plank wood floors, vaulted ceiling with beams, floor to ceiling windows. 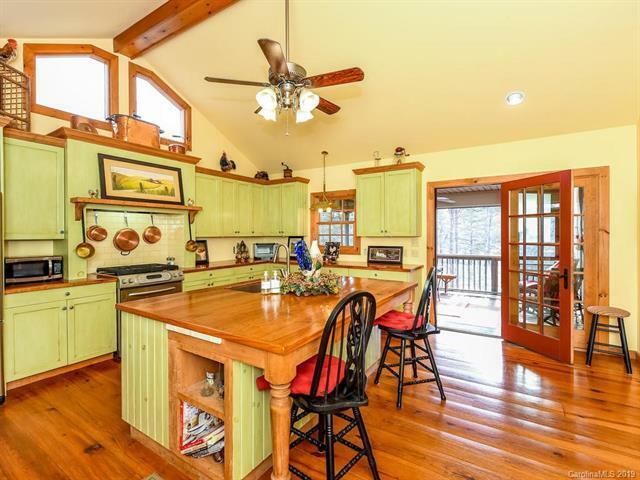 Open floor plan- a chef's kitchen featuring center island w/seating opening to a Great Room with dining area, seating area and a stone fireplace. Private main level master suite w/soaking tub, walk-in tile shower & walk-in closet. Half bath & laundry room on main. Lower level is centered around two gathering rooms - a recreation room w/wet bar/fridge and a den w/built-in shelves/desk. There is a 3rd room that is perfect for a media room. Plus 2 more bedrooms & 2 full baths. RV parking pad w/hookup.